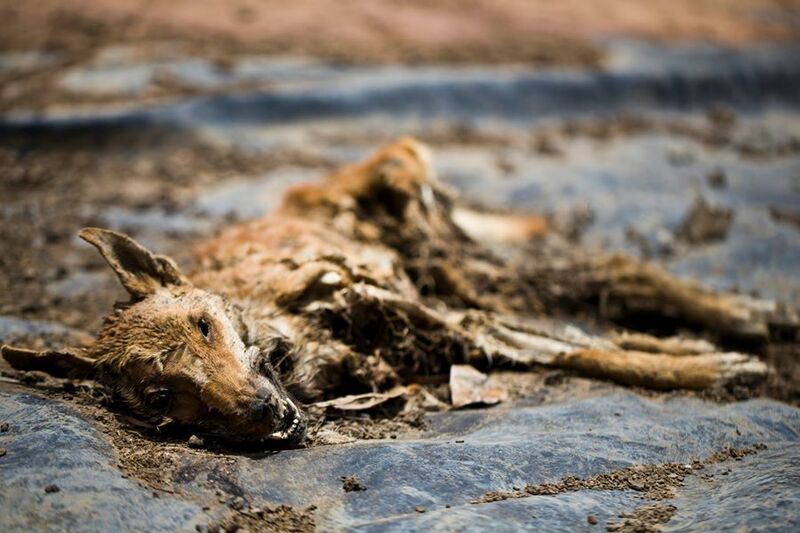 Greens Member for the Mining and Pastoral Region Robin Chapple MLC has slammed Buru Energy’s Yulleroo operations after disturbing images have surfaced showing the decaying remains of a wild dingo trapped in a water pond. Mr Chapple said this was just one of many animals found dead or rescued from Buru’s tailings dams since operations began in the area several years ago. “It’s not just dingoes but also reptiles, birds and various small marsupials that have been found trapped in these ponds,” he said. “These tailings dams contain a toxic mixture of chemicals from the fracking process and also often include heavy metal traces and hydrocarbons drawn up from deep underground as a part of fluid recovery. Mr Chapple said Buru’s fracking operations in the Kimberley should be immediately halted until such time as they have received proper and thorough environmental assessment. “Buru energy have proven time and again that they are not fit to manage, nor have they properly assessed, the potential environmental impacts of this invasive mining process,” he said.